So we recently got our hands on another game, this time of the hand-held variety. 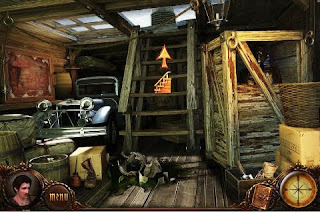 Developed by Alaware Entertainment and available for pretty much ALL iOS devices (iPhone, iPad, iPod touch, etc), Vampire Saga: Pandora's Box is part 'point 'n click', part hidden object game, and all mystery! Upon starting the game up for the first time, (after my phone was replaced), I couldn't help but think of some old-school PC games (turns out, this WAS released on the PC about a year ago), that rely on a single frame of art, with interactive "hot-spots" that you find to progress the story along. Of course there's really nothing wrong with that. I have said before, and I still maintain, the iPhone is really a great platform for many games, and slow titles that are easy to pick up and play, without requiring some major thumb dexterity is my cup of tea on the small screen. The story begins as you get a phone call from your grandfather who explains, quite abruptly, that he has just shot someone. Of course you rush right over to help him out...thus beginning a series of hidden object games, that upon completing, you're rewarded an object you can later use. Continue this series of events, and get all the objects that you logically need to move along. 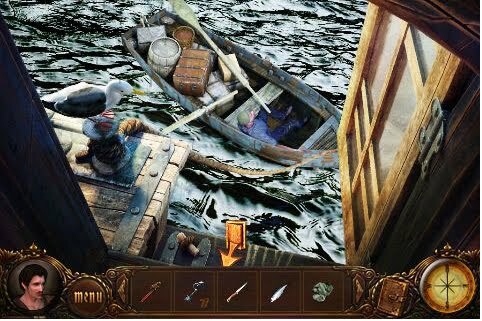 After the first act, you're transported to a cargo ship, as your Grandfather begins to tell his tale, you take on the role of a stowaway on board the ship. 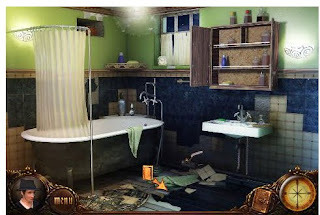 Again, play a few hidden object puzzles, find all the objects, interact in just the right way, and soon enough, you'll uncover the rest of the story. One full of secrets, and mysteries 'round ever turn! All in all, the title didn't blow me away, but it did prove to be an excellent time-waster, and one where you could play a little at a time. No need to go through a fancy save system, you just pick up right where you last played, which was welcome relief and actually served as a catalyst to play more. I can't say you should run out and get this title right now, but if you're looking for this type of game, or if hidden object puzzles are your bag, then I highly recommend it. Mashbuttons gives Vampire Saga: Pandora's Box a 7 out of 10.